Specification: stacked 4 pins. High quality, Dissipates excess voltage and heat, Prevents overcharging battery. Converts AC to DC.Application: Fits most 4-stroke GY6 50cc 80cc 100cc 125cc 150cc Japanese and Chinese scooters, ATV, Gokart, Moped and small motorcycles. Looking for ideal GY6 50cc Rectifier Manufacturer & supplier ? We have a wide selection at great prices to help you get creative. 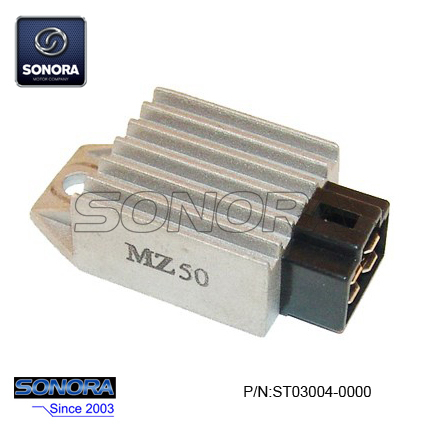 All the GY6 4pin Rectifier are quality guaranteed. We are China Origin Factory of GY6 50cc Voltage Regulator. If you have any question, please feel free to contact us.